I’ll be honest. When I started my no shopping challenge back in January, I didn’t actually think I’d make it this far. Over two months have now passed, and I’ve bought no new clothes … I’m amazed at myself! And what’s even more amazing is that apart from one little wobble, I’m not missing shopping so far! Ok, maybe just a tiny bit … and I have started a list of things I’d like to buy when I’m allowed to shop again (it’s very short, I promise) … but I’m not missing it half as much as I expected. 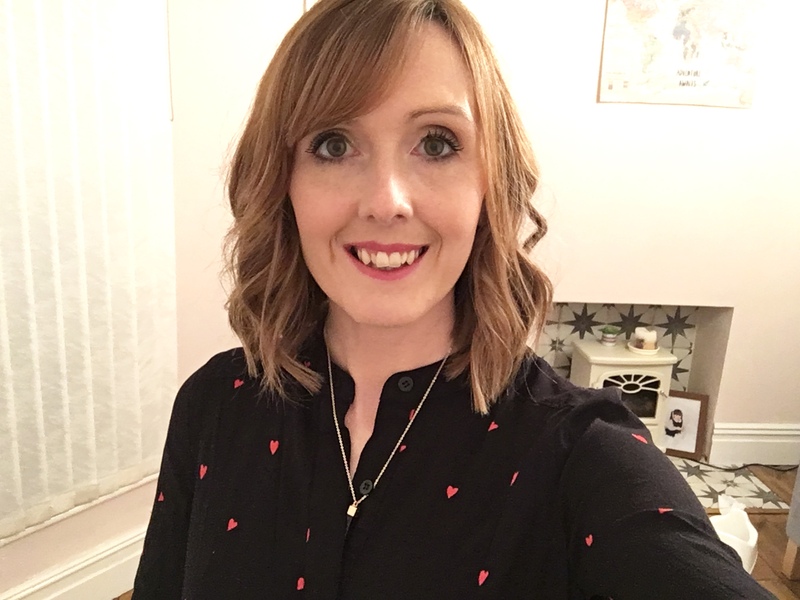 Let’s go back a little bit for anyone who missed my first post (which you can read here) … the reason why I’ve set myself a no shopping challenge is because I’d got to the point where I was just buying clothes for the sake of it. ASOS deliveries were coming so frequently that my neighbours were starting to comment, I was buying things that weren’t really my style just because I’d seen someone wear it on Instagram, and I still felt like I had nothing to wear. So, on January 1 I started a no shopping challenge to see how long I could last. I expected it to be really, really hard, and wondered why on earth I was depriving myself of something I love. I genuinely enjoy going to the shops for a browse, but as online shopping was becoming too easy I decided to go cold turkey and buy no clothes at all for as long as I could manage. 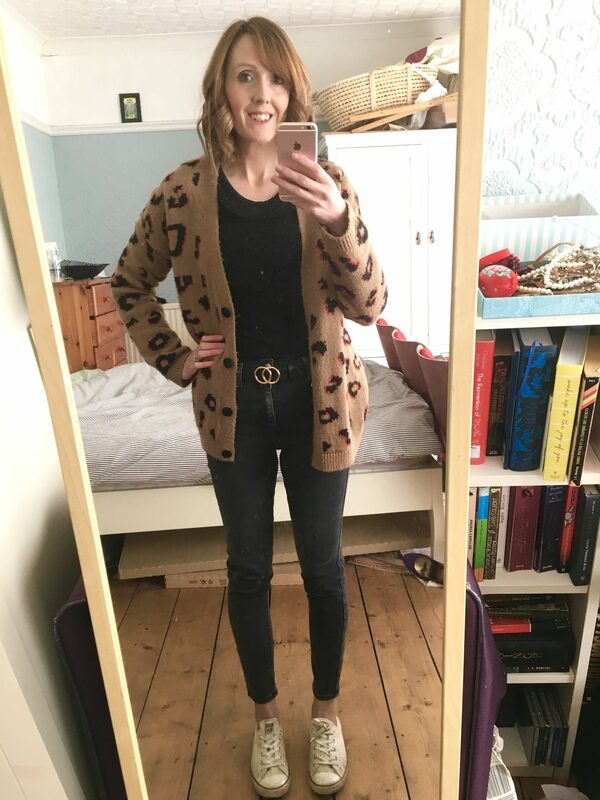 Just before the new year I allowed myself to buy a couple of things to set me up – jeans, as my black pair were on their way out, a dress which I can dress up or down, and a leopard print midi skirt for (rare) nights out. Before now, this would have made up just one online shop order, and I probably wouldn’t have thought anything about buying more a week later. For the first two weeks of January I was excited to see how long I could last, but there were a few little things I needed to do to help myself. First of all, I was following too many people on social media who post nothing but outfit shots. My first tip to anyone thinking of not buying new clothes is to stop following these kinds of accounts and have a look at tags like #noshoppingchallenge for inspiration on mixing up old outfits. After a couple of weeks, my Facebook and Instagram adverts changed from ASOS and H&M to homeware shops and holidays as I was browsing different content, although I have had the odd “we notice you haven’t stopped by” ads from Topshop. It’s funny how quickly social media advertising algorithms change! I made it to the end of January and didn’t even buy any new clothes for a hen party in Budapest. I was a wee bit sneaky and exchanged a dress I’d bought a month before for a knitted jumper, which was handy for the freezing weather. But as the dress had a hole in it, I’d already spent the money on it and I hadn’t even worn it, I think I was able to bend the rules slightly. It was clearly poor quality and wouldn’t have lasted even if I’d tried to repair it. This was one of my problems – it’s too easy to try and perk yourself up with something cheap, but it’s not worth it. Fast fashion is no good. If you’ve seen me in the last six weeks, the chances are I’ll have been wearing this jumper! Anyway, back to the hen party, and tip number one – plan your outfits in advance. I’m usually so bad with clothes shopping that I’ll buy a load of new clothes for a weekend away or a holiday. For some reason I’m blind to what’s in my wardrobe and end up panic shopping. I then have to sneak labels off everything in my suitcase before I wear them. Not this time. For Budapest I had each day’s outfit planned out, and one spare evening option. No debating over what to wear, no oversized luggage, and no trying to fit the new clothes into already overcrowded drawers when I got home. I actually wore things more than once. Crazy, I know. 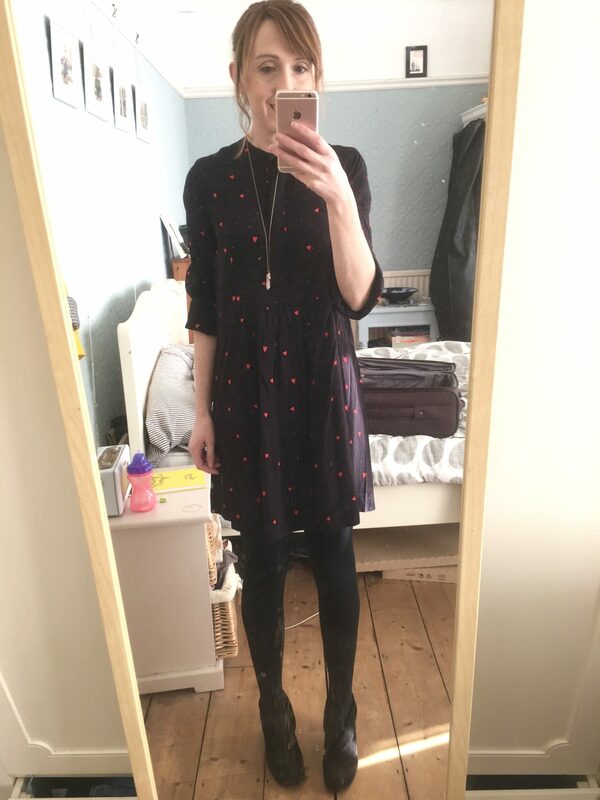 The dress I bought before the challenge started was my night out outfit, and I decided I’d also wear it the week after when me and Stew went to see Frank Turner in Cardiff. I would never have worn the same outfit two weeks in a row before, which is just daft really. I enjoyed wearing the dress, felt good in it, so why not wear it again the following week? 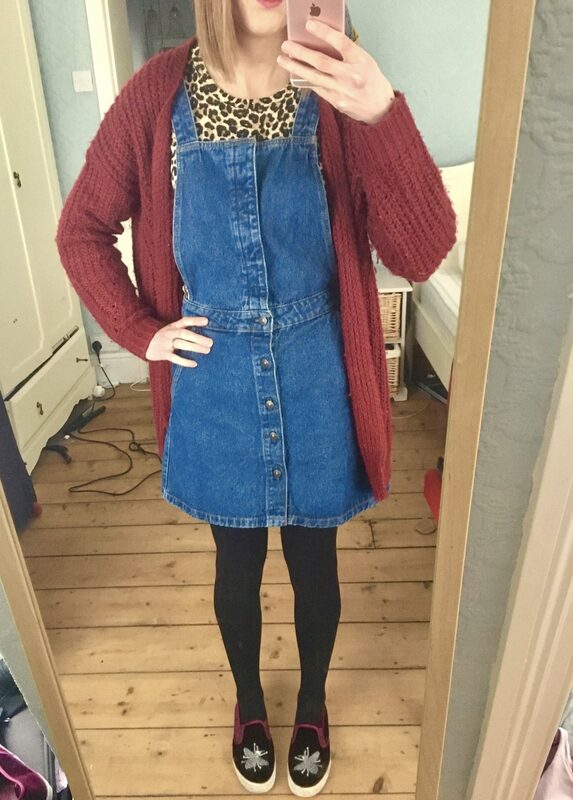 On the subject of planning … I had a night out recently, which would usually send me into outfit turmoil. I’d convince myself I had nothing suitable to wear, and either end ordering something at 10.59pm the night before or rushing around the shops and buying something I didn’t like all that much on the day. Not this time. I had my outfit all sorted down to the belt and boots weeks ahead. I did end up buying some cheap jewellery to wear with it, which I shouldn’t have, but cutting down on things like that will be my next step. I’d rather save up and buy jewellery that will last, instead of an eight pack of Primark earrings for £3. With a two-year-old who likes to post small things between the floorboards, though, investing in diamonds might not be the wisest option right now! While I’m not clothes shopping, I’m trying to wear things that have sat forgotten about in my wardrobe and drawers or that I bought, never wore but ran out of time to take back. I have a leopard print top that is too short for me. I ordered it hoping it would look nice tucked into jeans, but it was tighter and shorter than I expected, and even with my high waisted pair there’s an inch of stomach on show. Not a good look, let me tell you! Zara returns are a bit of a faff, so I ended up keeping the top, and it’s been sitting with the tags on for months. Typical me behaviour. I also have a pair of black dungarees that I haven’t been brave enough to wear more than a handful of times, even though I love dungarees on other people. One Saturday I put the two together, and boom, new outfit alert! It had its first outing when we popped to the shops for a birthday present, and I felt a weird combination of self conscious and confident. I was so happy when a friend we bumped into later told me I looked really good in them … That’s a combination I’ll be wearing again then! The top is also handy under a pinafore dress, so has gone from useless to creating two new outfits. I’m even trying to jazz up plain old jeans and cardigan outfits by adding a belt or a long necklace. It might not be super exciting, but it adds a little something! If nothing else, this challenge will make me think a bit more about the clothes I already have, and how to put different things together. I did worry when I announced my no shopping challenge to the world (aka my handful of blog readers) because when you make something public you have to stick to it. But people are genuinely interested in how I’m getting on, nobody has laughed me out of the room, and people are actually impressed that I’ve lasted over two months … it seems that my love of shopping was well known (*insert monkey covering his eyes emoji here*). 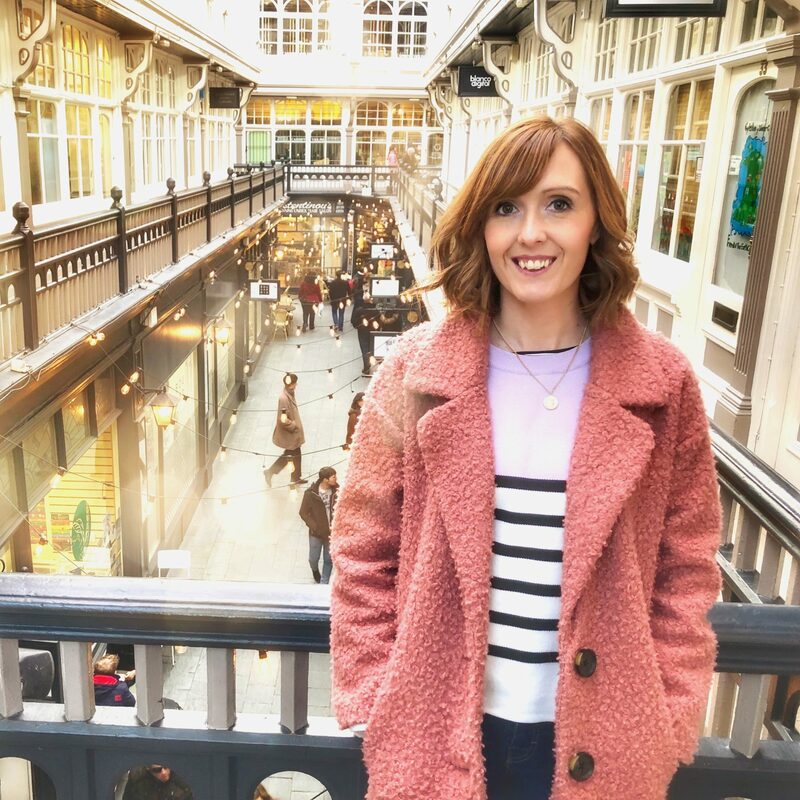 I’ve been tagged on articles about giving up shopping and ditching fast fashion, which is really helpful, and I’ve even had people asking if I’m going to try and go for a full year. If you’re wondering the same, the answer is I’m not entirely sure. I’m aiming for the end of April at the moment as I have a London trip planned and don’t want to stop myself from shopping if I see something I really like. I’m hoping that by then I will have kicked my habit of impulse buying. Before that, though, I have the dilemma of a wedding outfit to sort out. Stew suggested I don’t count special occasion shopping in my rules, but I think buying an outfit for one day is something I’m really bad for … also, the bride drunkenly told me that if she spots me in something new as she walks down the aisle she’ll kick me out!